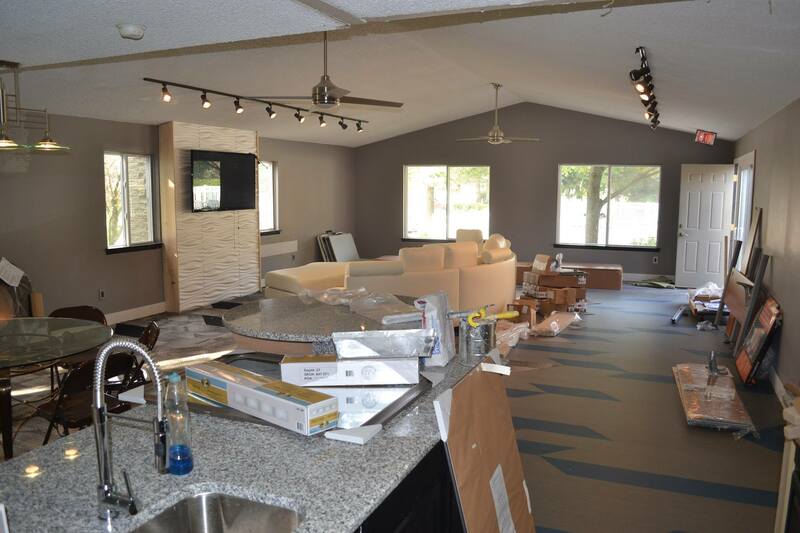 Sterling Lake is undergoing a clubhouse remodel that is at roughly estimated at about $35,000 in renovations. Already, we have tore out walls, re-leveled floors, added a modern vinyl floor that coincides with carpet squares, re-did walls with three-dimensional texture, re-did the kitchen with granite counters and stainless appliances. We’re also adding new furniture, a new work station, and more televisions. We ordered a new fireplace, wall mount waterfall and a really nice bistro table – which should be arriving any day. Next year, we plan on upgrading the office furniture. We also have a plan for eco-stone privacy fences around our townhomes.